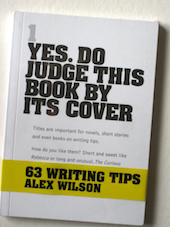 Writing prompt from Alex – Tip 37 from 63 Writing Tips by Alex. ‘HANDLE WITH CARE’. Adjectives are useful words for describing but use sparingly. What does a beautiful meal or a nice meal tell you? Not a lot. It’s the old show don’t tell rule. Using this photograph as inspiration, write a scene to evoke the atmosphere of Autumn, be sparing with the adjectives. This entry was posted in Writing Prompts and tagged adjectives, Creative, prompt, writing tips on November 7, 2016 by Editor.